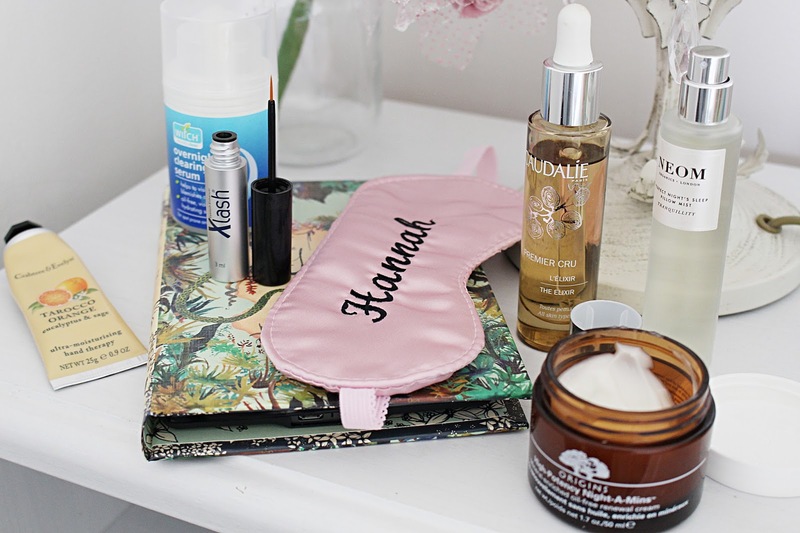 Although my skincare regime can be a bit all over the place sometimes, when it comes to bedtime beauty I always like to take my time and pamper my skin, so that I know when I wake up I'll have a better base to work with than if I just cleansed my skin and did nothing else (c'mon, I'm sure you're guilty of doing it). It's easy to become lazy with skincare, especially if you're having a busy week at work and just want to collapse into bed when you get in, or if you've had a crazy night out and the thought of taking all that makeup off makes you want to cry... we've all been there. However as someone who suffers with blemish-prone skin, I really know it's crucial to maintain a proper skincare regime, especially at night time, to ensure your skin is looking the best it can. There are a few products I find essential to apply, after cleansing, before heading off to the land of nod, and whilst I tend to rotate brands and certain products, the main bulk of the routine is the same: serum, oil and moisturiser. I usually veer towards serums that tackle my acne, so Witch Overnight Clearing Serum* is the perfect example. I find this product works brilliantly at helping to clear my skin up, leaving it feeling smoother and looking clearer even after one night. It's oil-free but doesn't dry my skin out which is perfect for me, and like all of Witch's products, it contains witch oil extract to help tackle those pesky pimples. The best thing? It's seriously cheap at £5.99 for a 50ml pot. When it comes to oil, I tend to change these on a weekly basis as I like seeing the different benefits of the products I own. 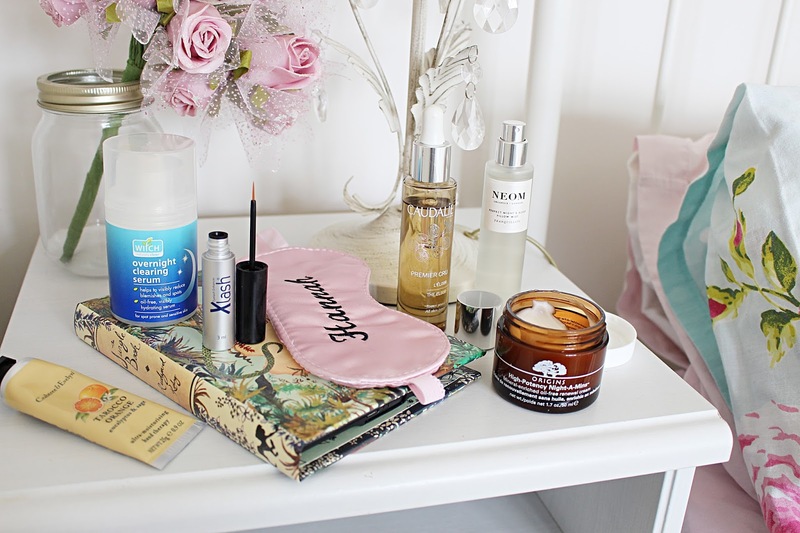 Currently I'm using the Caudalie Premier Cru The Elixir*, and whilst it's very expensive, it is a real luxury product that I've enjoyed using. When choosing oils I like ones that help to make the skin radiant and glowy, as well as containing scar-fighting ingredients to help fade my awful acne scars. The Elixir definitely delivers in the glowy department, but I'm yet to see a real difference in my scars - something I found quite disappointing considering the high price of this product. However, the main selling point of the Elixir is that it's anti-ageing, and as I don't have any wrinkles (yet!) I didn't reap the benefit here. I'm going to do a run-down of all my favourite oils soon so keep your eyes peeled for that! On to moisturiser now, and I couldn't do a post on night time beauty without mentioning my beloved Origins High Potency Night-A-Mins. After scouring website after website looking for a night moisturiser that benefits oily, acne-prone skin, I finally found this from one of my favourite skincare brands, Origins, and I haven't looked back since. This moisturiser is amazing - it smells delicious, is really light on the skin and leaves it feeling super smooth and healthy. I always think my skin looks so much better the day after applying it, and although it's not the cheapest at £35 a pot, it's worth every penny. I honestly couldn't rave about this product enough. I should point out that there are two versions of this - one with oil for dryer skin and an oil-free version, and I of course always opt for the oil-free and find it works amazing for me. Once I've applied all of those products, I finish by popping on some Xlash Serum* to my lashes in order to help them grow (I've not noticed a huge difference with this yet but will report back if I do), applying some hand cream (I have such dry hands and this Crabtree & Evelyn Tarocco Orange Hand Cream* smells INCREDIBLE) and, to ensure I get a good night's sleep, I always like to spritz a bit of Neom Perfect Night's Sleep Pillow Mist* on my pillow. With gorgeously relaxing lavender, jasmine, chamomile and patchouli, it smells divine and always leaves me feeling super calm and ready for a lovely night's sleep. If you struggle to get to sleep I couldn't recommend this more. So, there you have it... a little look at my sleeping beauty. What products do you apply before bed time? I'd love to know!